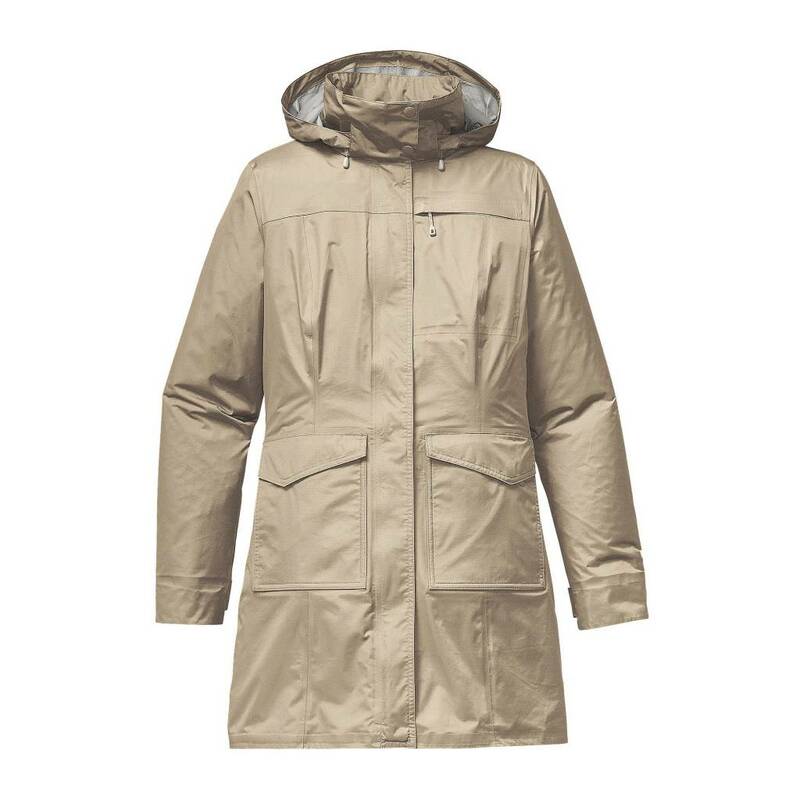 Built for wet-weather commuting, this packable, urban raincoat is made of H2No® Performance Standard lightweight nylon with a waterproof/breathable barrier and DWR (durable water repellent) finish. You drop into the subway in sunny Soho and emerge 20 minutes later in a Harlem downpour. Pull this sophisticated, lightweight trench coat from your tote. It’s made of a 2.5-layer, 100% nylon fabric with a DWR (durable water repellent) finish that slides easily over layers. 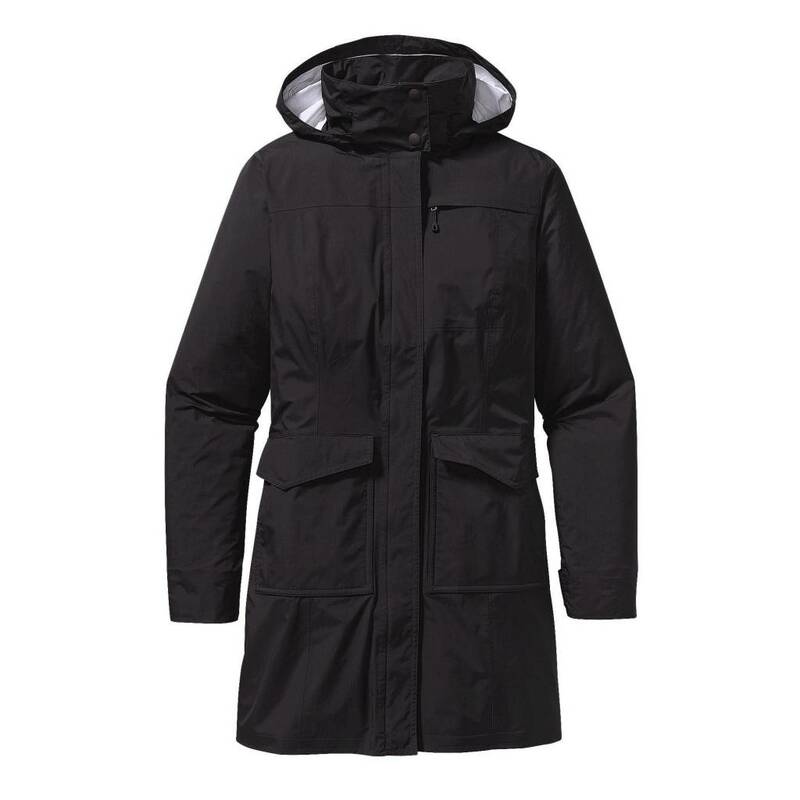 Weatherproofing details include an adjustable, removable hood that secures with hidden snaps and a full-length snapped placket complete with a 2-way zipper and storm flap. Articulated elbows allow freedom of movement; cuff tabs have 2-position snaps. Princess seaming creates a feminine silhouette. Two flapped patch pockets on the front secure with snaps; there’s also a zippered chest pocket. Above-the-knee length. H2No® Performance Standard shell: 2.5-layer, 2.4-oz 40-denier 100% nylon ripstop with a waterproof/breathable barrier and DWR (durable water repellent) finish.